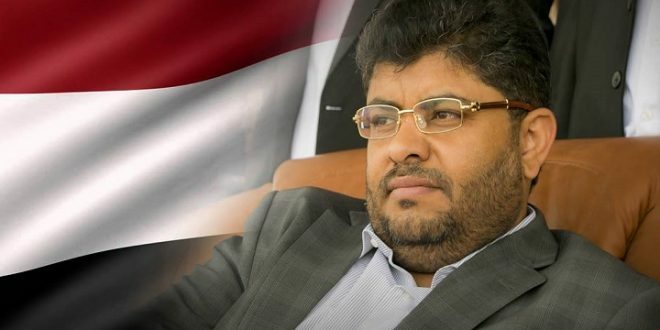 Head of the Supreme Revolutionary Committee Mohammed Ali al-Houthi has stressed that “Hodeidah is not easy, either peace and implementing the Sweden agreement, or inferno is waiting for the invaders and their forces”. During my meeting with the UN envoy to Yemen Martin Griffiths, I told him that the road will be opened to the mills when the situation is safe by the other side, Mohammed Ali al-Houthi wrote in his Twitter on Wednesday. He called on the UN envoy to compel other parties to commit the cease-fire and not to obstruct the implementation of the Sweden agreement, so that the committees could implement the agreement and re-deploy without hindrance according to the chronic and agreed mechanism in Sweden. During their UN-mediated talks held in Sweden, the parties agreed to case-fire in Hodeidah and reopen the airport, officially closed in August 2016, for domestic flights. The UN envoy had stressed that the agreement related to the cessation hostilities in Hodeidah province, the Saudi-led coalition’s mercenary forces continued their violations of the cease-fire agreement regarding Yemen’s Hodeidah.